What conditions does Comfort Gel Suspension, (Final Dose Form) treat? List Comfort Gel Suspension, (Final Dose Form) side effects by likelihood and severity. 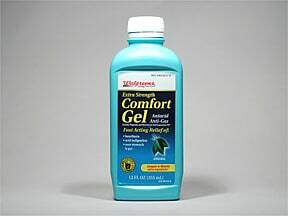 Have you ever purchased Comfort Gel Suspension, (Final Dose Form)?